You’re concerned about the quality of your drinking and bathing water, so you invested in a water filtration system. But like any investment, it needs proper care and maintenance to keep it working properly. Watercure USA offers scheduled water filtration maintenance to help you keep your water as clean and pure as it was when you first had your filtration system installed. If you would like to learn more about water filtration maintenance, or get on our service schedule, call 716-946-3598. At Watercure, we pride ourselves in offering water filtration maintenance services that provide ongoing reassurance of clean, healthy water. Need Help to Figure Out How to Make Your Water Safe, Healthy and Problem Free? Why trust your water filtration system installation to Watercure USA? Experience - Serving Buffalo and the Western NY area for over 30 years. We have installed over 8,000 water filtration systems, and counting! Recognized Success - 5 Star ratings on all the major sites. Awards - Home Advisor Winner 2015, Angie’s List Super Service Award 2015. Professional Affiliations - We are longtime members of Water Quality Association and Water Quality Tested and Certified. 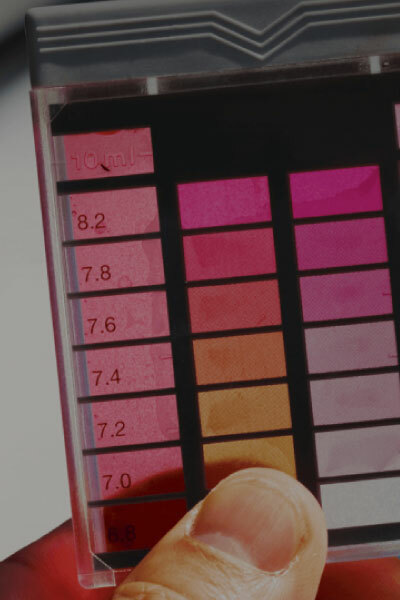 FREE water testing - Our water testing services, valued at $89.00, are always free. We consider this the first important step toward your water solution.